Wilddiary.com - A weblog featuring articles and tutorials on Java, Unix and related technologies. 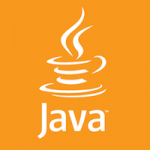 This article gives an overview of Java multithreading. It talks of the advantages of multithreading, thread states, priorities and options to create threads in Java.